When you are looking for an excellent collectible weapon, make sure this section of fine pieces by Kit Rae is one of the first places you search. 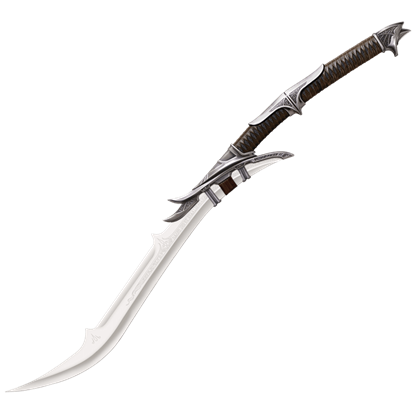 We carry a variety of striking weapons from this master of fantasy blades, as well as a number of high-quality throwing weapons. Several of his collectible fantasy swords come autographed or with custom art prints or display plaques. 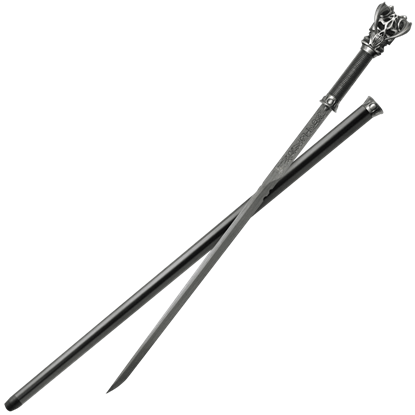 Alternately, if you need a functional sword, the gorgeous hardwood sword canes make a fantastic option, offering debonair good looks while disguising high carbon steel blades. The throwing axes and throwing knife sets provide another excellent choice in weaponry for martial artists and competitors. Spend a moment of your time looking through these stylish weapons to see many fine pieces to enjoy! 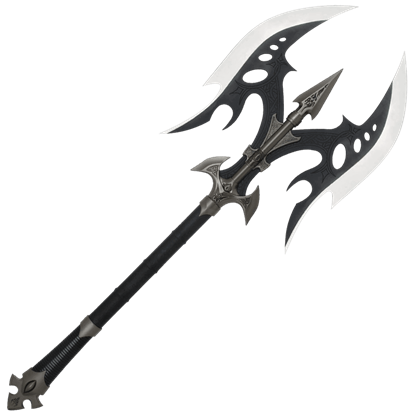 From the universe created by Kit Rae, the Black Legion Battle Axe was the primary weapon of the monstrous Barumen Axe men, soldiers to the Lord of the Shadows. This decorative axe features false edged blades made of 3Cr13 stainless steel. 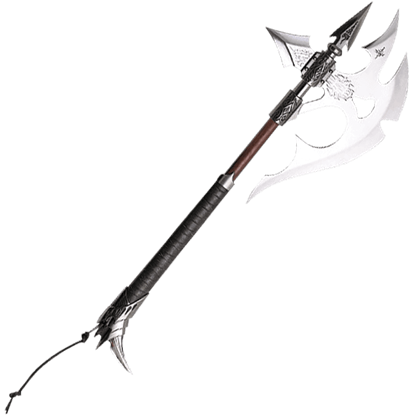 Designed by fantasy artist Kit Rae, the Black Legion War Axe was the primary weapon of the Barumen. These monstrous horned creatures acted as foot soldiers of The Dark One. This special edition war axe makes a fearsome collectible. 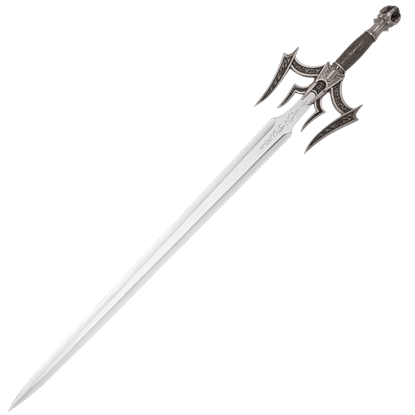 The Luciendar Sword, from the Kit Rae Sword of the Ancients collection, is shrouded in myth. 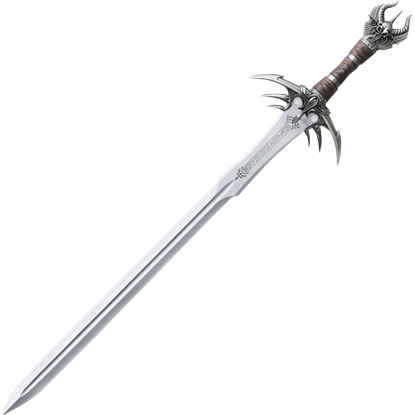 With its ornate guard and beautifully crafted pommel, this decorative sword is the perfect addition to any collection of fantasy weapons. 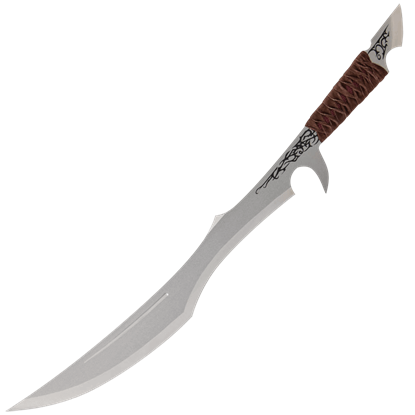 With its ornate black silk screen designs and the elegant shape of its stainless steel full-tang blade, the Mithlotok Short Sword from the mind of Kit Rae is the perfect addition to any decorative fantasy sword collection. The highly popular Swords of the Ancients collection has become legendary the world over among collectible sword enthusiasts who want only the finest designs and highest quality. Each features tempered 420J2 false-edged blades. Step into the Swords of the Ancients universe with the Vorthelok Forged Damascus Sword Cane. The 1045 steel sword unlocks from the wooden cane shaft with the push of a button hidden in the cast metal fitting of the pommel. 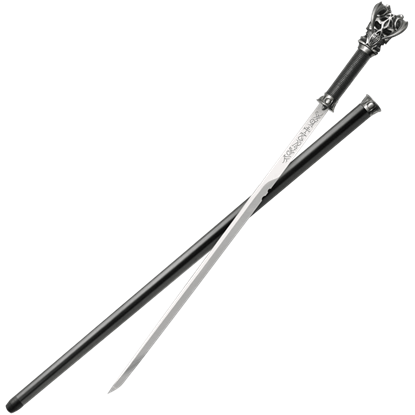 From the mind of Kit Rae comes the Vorthelok Forged Sword Cane based on the sword of the same name. The 1045 carbon steel sword unlocks from the wooden cane shaft with the push of a button hidden in the cast metal fitting of the pommel.